Warm, westerly afternoon sunsets. Enjoy the views over the snowgum tree tops, as well as spectacular bedroom views over the Bluff. Located in the Mt Village, only 100 metres from shops and restaurants. 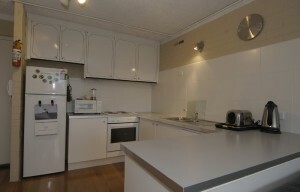 This spacious two bedroom apartment has excellent sunlight and has been beautifully renovated recently. 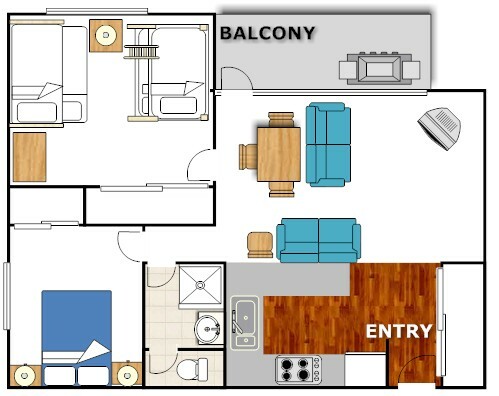 Open plan living, kitchen and dining area with a large balcony. Located in a tranquil position not too far from the lifts. Located on Stirling Track only 80 metres from the top of Chamois double chair. Free intra village bus stops near the front door to Snowflake Complex.